Wait no longer to own your own home. This move-in ready bungalow in quiet setting, is conveniently located for all your shopping needs as well. Come inside and warm yourself from the cool autumn nights by the floor-to-ceiling stone fireplace. New flooring and ceiling beam completes the coziness of this family room. Split bedroom layout, the master bedroom has an exquisite master in-suite, walk-in closet, and there are two additional bedrooms that share a full bath. The charm continues in the combined kitchen/dining room with an entry from the spacious two-car garage. A screened-in porch looks onto wooded backyard and large patio great for cook-outs and fire pit bonfires. The exterior exudes low maintenance with hardy board siding, a seven-year old roof, and new HVAC system. 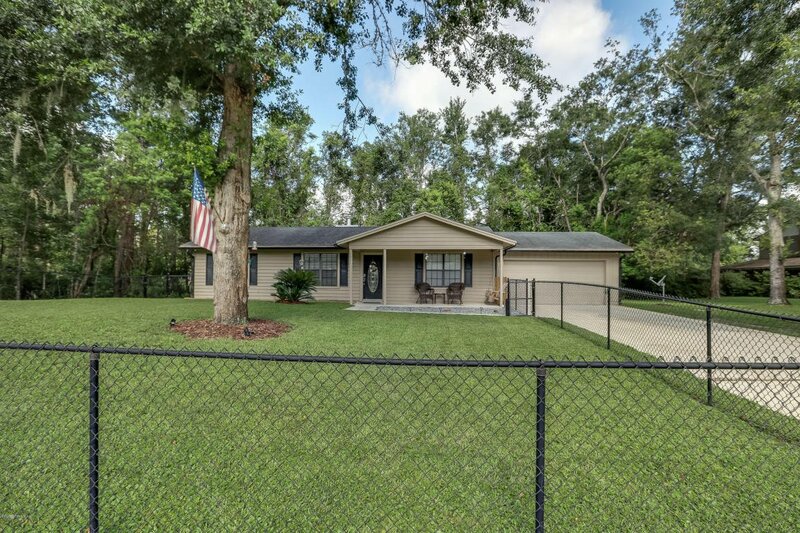 Large front yard is fenced in and can be enjoyed from the home's front porch swing. See it for yourself with a scheduled showing today. Listing courtesy of RE/MAX SPECIALISTS. Selling Office: RE/MAX SPECIALISTS.